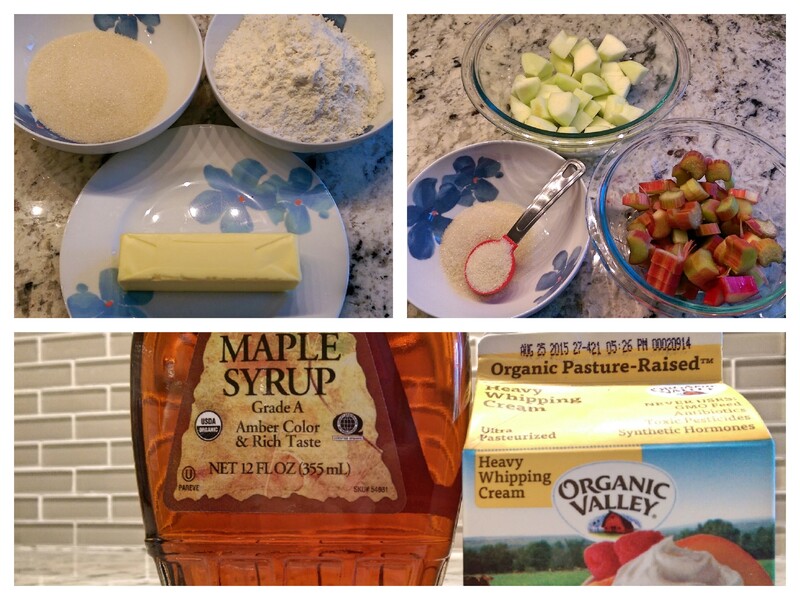 Rhubarb & Apple Crumble with a dash of Maple Whipped Cream on the side? My kids have been begging me to post (hence make) this sweet fruity, summery dessert, since we launched the blog way back at the dawn of history c.June 2015. So on the cusp of 2000 views, I’ve decided to relent and share this easy to make family favorite for all our readers to try – I promise you will not be disappointed, unless you are on a diet! 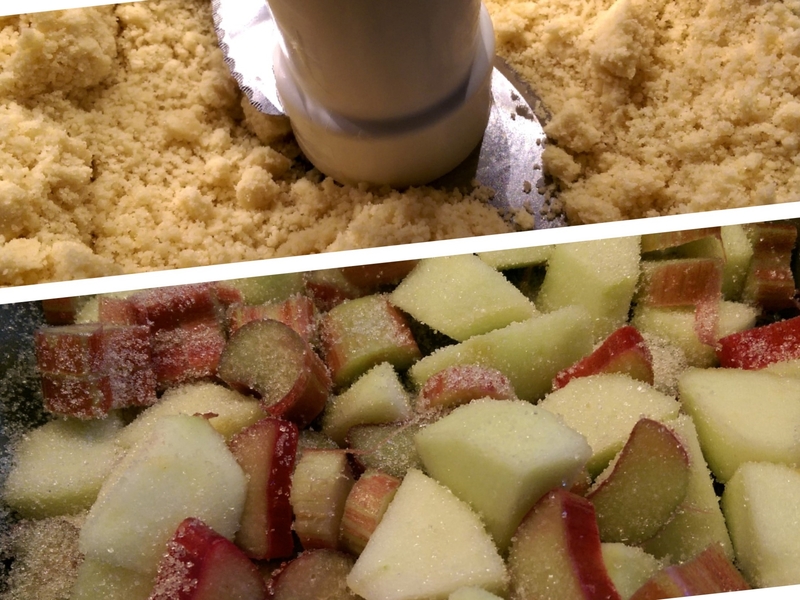 Crumble top: 8 oz / 230 g plain flour, 4 oz / 115 g butter, 3 oz / 85 g sugar and a pinch of salt. Fruity base: 8 oz / 230 g of Rhubarb and 8 oz / 230 g Apples (I used Granny Smith but Cortland – in the US – and Bramley cooking apples in the UK work too) and 3 tablespoons of sugar. This could not be simpler! Serve the Crumble warm from the oven, with a scoop of the Maple Cream on the side, drizzling a little more of the Syrup over the cream. It’s one awesome dessert, I kid you not! Buttery flaky crumbs, complimenting sweetened, soft rhubarb and apple perfect with a dollop of syrupy cream….. Sounds amazing and, even better, very easy. I will definitely try it out on the family and will let you know the verdict. As the saying goes “the proof of the pudding is in the eating”!! Helen, thanks for your interest and comment. It’s really simple to make. I promise your family will love it. You can try the crumble with vanilla ice cream too and I often use peaches or apricots with the same basic recipe as an alternative to the Rhubarb and Apple.